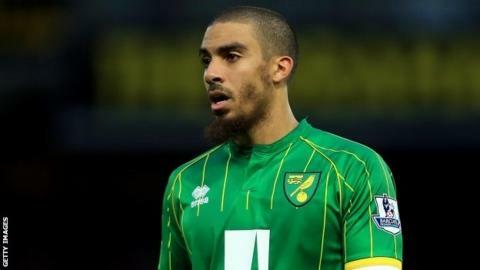 Norwich manager Alex Neil said there was "too much water under the bridge" at the club for Lewis Grabban after the striker's move to Bournemouth. The Cherries have paid £7m for the 28-year-old 18 months after selling him to the Canaries for less than half that. They tried to sign him in the summer and he walked out of Norwich's team hotel, earning a fine and suspension. "We had a commodity there that wasn't supplying anything for us, so we had to get the best value," Neil said. Grabban only made six appearances for the Canaries after leaving the squad before a League Cup game at Rotherham in August, something he later apologised for. "We just felt he was a player who had run his course at Norwich. He was not involved, he was not in our squads," Neil added. "Lewis contributed greatly to us getting promoted and started the season for us, then we had a couple of incidents afterwards, and to be honest I don't think we really recovered from that. "I think it was one of those where Lewis had come to the conclusion that he was best suited to playing elsewhere, and we agreed with that. "Sometimes players have their heads turned and get their heart set on going elsewhere."